Grain free bread also known as the healthiest bread in the world! What?! Yes, according to Dr. Berg, it doesn’t get any tastier. I have to agree! 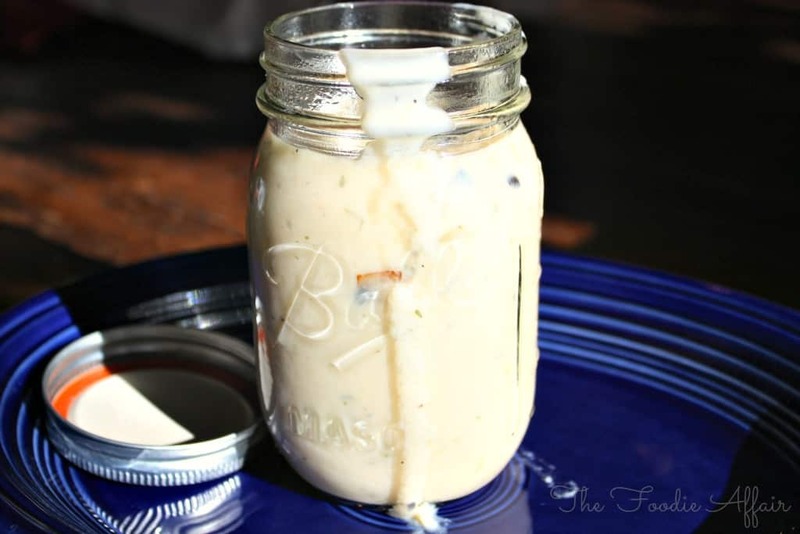 Enjoy with a pat of butter or add to any of your favorite dishes! Have you given up or limited grains in your diet? If you’re longing for delicious tasting bread, then give this simple grain free bread a try and you won’t feel like you are missing a thing! When I started learning about the Ketogenic Diet, I scoured every source I could and found a couple of docs that follow the high fat, medium protein, low carb way of eating themselves. Dr. Jason Fung is the first doctor I became interested in learning more about. He is a Canadian kidney specialist and co-founder of Intensive Dietary Management program, and also an author to The Obesity Code as well as The Complete Guide to Fasting books. Both books are worth the investment if you want to learn more about the science behind this life style. I’m fascinated by his findings. Dr. Eric Berg is another doctor I have followed. He is a chiropractor and has also become educated on the Keto diet and helps thousands of people lead healthier lives. He’s all over the place; Facebook, Twitter, website with a supplement store and to be honest, I unsubscribed because I felt like he was stalking me on Facebook – Haha! The power of advertisement! This delicious grain free bread recipe is on his YouTube channel, and although they don’t site where the original recipe came from, they do mention that it’s not an original Berg recipe. Let’s get baking! These little boules are the absolute best tasting slices of bread, and you can shape the dough into any form you would like! 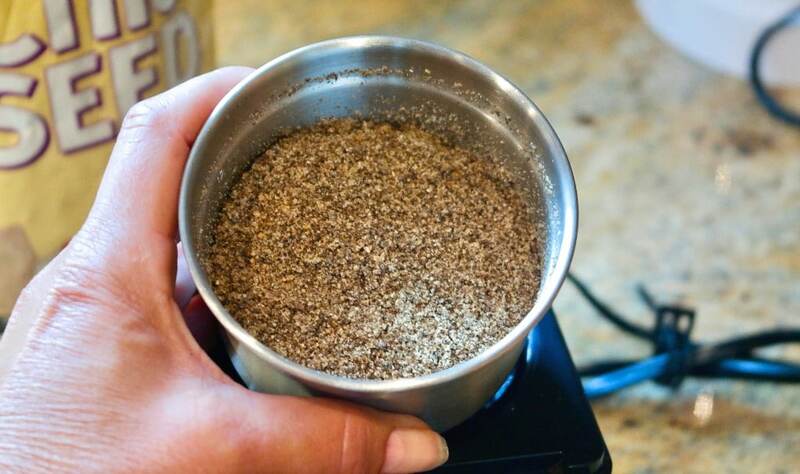 Second, together with rapid acting yeast, ground chia seed and psyllium husk powder make the bulk of the dry ingredients. 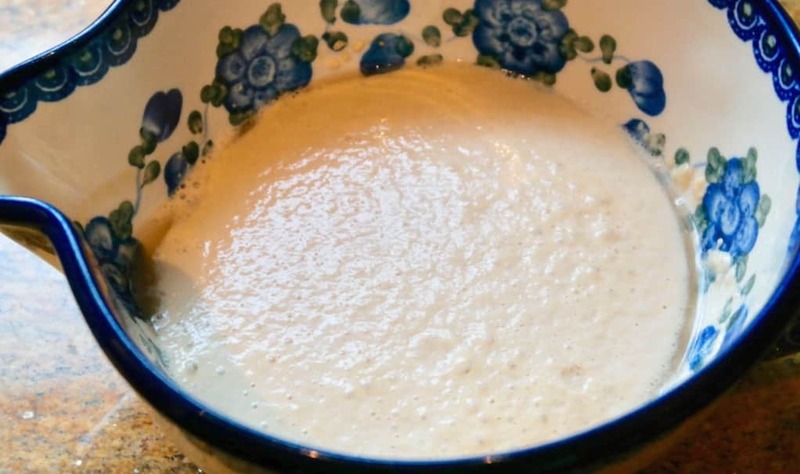 Once you yeast is nice and bubbly, then mix it with the chia and psyllium for a beautiful dough! Since there are no preservatives in these loaves you can’t leave this out on the counter for long. Give these tips a try! First, let the bread cool completely before slicing or storing (waiting is the hardest part of this recipe!). If you don’t wait, then you’ll end up with gummy slices of bread, so WAIT and let the loaves cool. Store in an air tight container for three days, and after that you need to freeze it. To freeze, slice the loaf and wrap each piece in plastic wrap before putting it in air tight freezer containers. If you have a vacuum sealer, that’s the best way to prevent freezer burn. Use within two to three weeks. 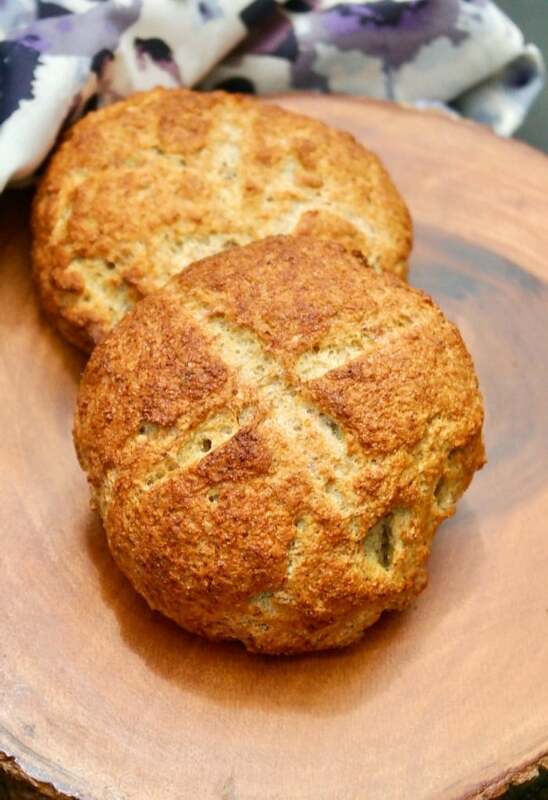 Try these recipes with your fresh baked healthy bread! 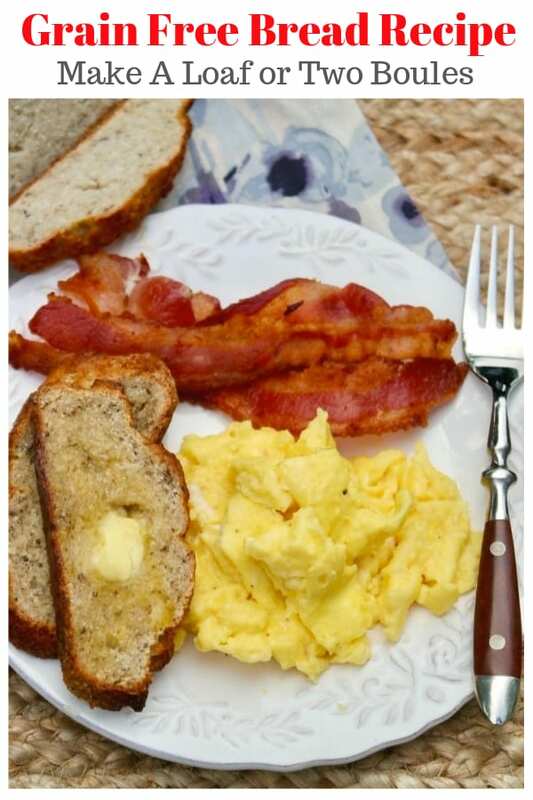 A couple of slices of this bread with delicious with bacon and eggs for breakfast! Here are some zoodle recipes that you might enjoy as well. 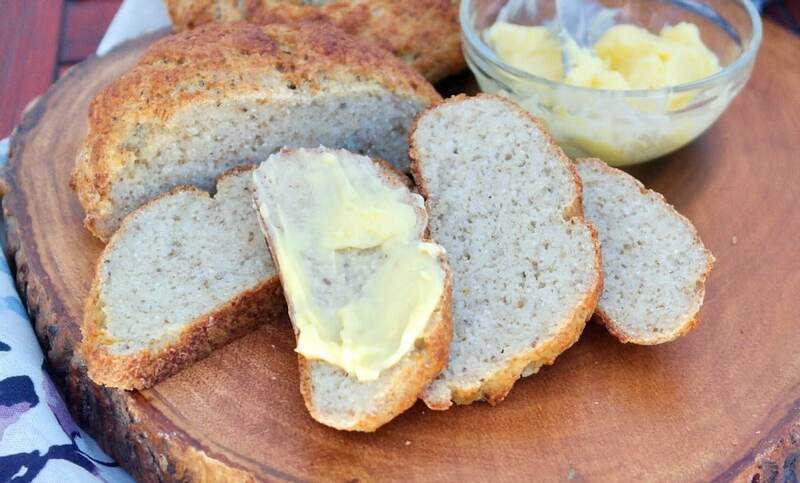 This delicious grain free paleo bread is perfect for those following a low carb, keto diet. Simple to make and tastes delicious, not eggy! Compliment any meal. In a large bowl, whisk together almond, arrowroot and coconut flours with the sea salt. In a small bowl heat 1 1/4 cups of water to 105-110 F degrees. Add maple syrup and rapid rise yeast. Let sit for about 10 minutes. The yeast should start to bubble. 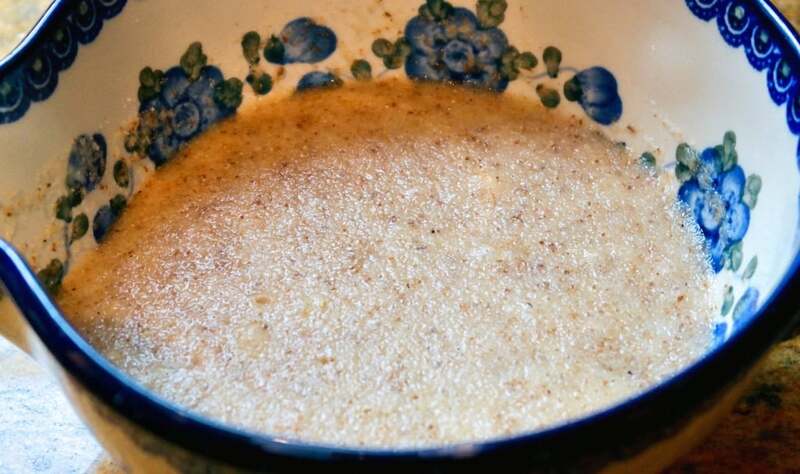 Stir in the chia and psyllium into the prepared yeast mixture. Let sit for about 10 minutes while the ingredients thicken. Whisk together, then add to the flour mixture and stir with a spoon until all the ingredients are well incorporated. Knead dough for about 1 minute, then place back in the large bowl and cover with a damp towel. Place in a draft-free area and let rise for about an hours. Pre-heat oven to 425 F degrees with baking sheet or stone. In a small bowl whisk egg. Form dough into desired shape and brush egg over the loaf. Place on heated baking pan and bake for 25-30 minutes or until the internal temperature reaches 205 -210 F degrees. Use real maple syrup. The syrup is consumed by the yeast, which lowers the glycemic index. As soon as I can use my oven, I’m a baking this bread! It looks great! 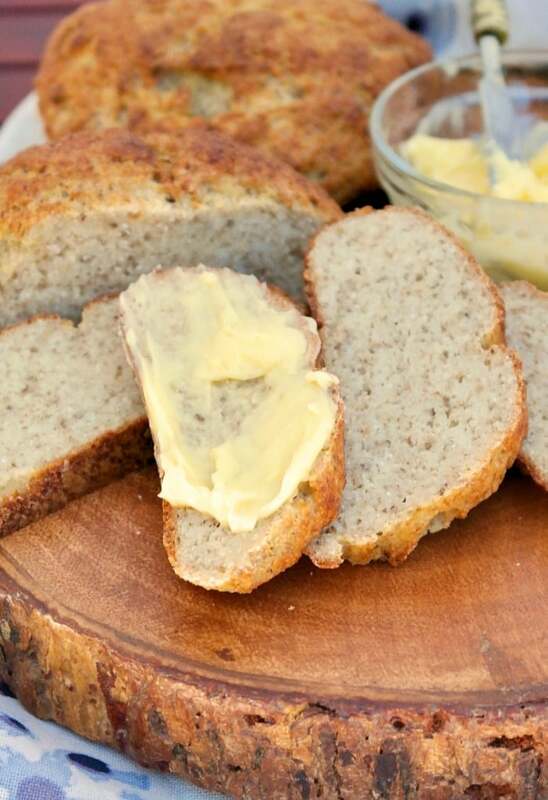 This looks like the perfect gluten-free bread, simple, delicious and. grain-free! I’ll be sharing this with our GF friends! I love how you added chia seeds, I’m always looking for ways to use chia seeds in recipes! This bread sounds wonderful!!! I love baking bread but haven’t experimented with different flours yet! I need to make this one! Im loving all the different flours you use in all of your recipes… Im learning so much…. I never realized how many options I have in baking! Super interesting! I’m learning a lot too and have had a lot of fun experimenting. Some not so good results and others are better than the regular flour reicpes! On the Nutrition Facts chart, are the carbs, fat, fiber, etc listed for the whole loaf? What is the serving size? No, it’s 16 servings, so probably closer to a slice. Finally a bread that will actually taste good for Brooks in his paleo diet! Can’t wait to try this!! Who knew grain free bread could look this decadent?? I want to reach right in and grab a slice or two! Oh my goodness, this bread looks heavenly and I agree, waiting until it’s cooled is the hardest part (I’m always slicing off the heel!). Thank you for all of the research you’ve done, great info and recipes! There’s nothing better than homemade bread in my opinion. This is an excellent recipe. I love all the different type of flours you are using for this bread. Waiting for it to cool will be hard! Hi, This is an excellent recipe. I am loving all the different flours you use in all of your recipes… I am learning so much.Finally a bread that will actually taste good for Brooks in his pales diet! Can’t wait to try this!Thanks for the sharing this. Hope you love it, Sandra! Definitely one of my favorite recipes. Question:. I’ve made it twice and found the dough to be too sticky to knead. Any suggestions? Hi Anna, It is sticky. Be sure to let the ingredients sit at least 10 minutes. You can add an additional tablespoon of coconut flour and hopefully that’ll do the trick! Not sure what happened but after I added the chia and psyllium it didn’t just turn gelatinous it was like silly putty. I’m letting it rise now and hope it turns out ok. I ground my chia seeds in my Vitamix blender maybe too much?! Hi Emily, the longer you let it sit the thicker it will become, so maybe by grinding the chia extra small it was actually more than needed. Hope they still are tasty! Me too! But its ok – put the dry ingredients and the blob into a food processor – it makes all the difference. the first time I did it and it tried to knead it myself, it was a disaster. Food processor for the win!! I cant seem to find the Nutrition facts chart. Specifically hoping to find out what the carbs are per serving. I have made this bread and it is Fantastic!!! But, I can’t seem to find the nutritional data. Can you help me with this !! Thank you ! I’ve made this bread several times now and love it! Just turned to the recipe to make it again… and where did the ingredients go?! Hi Erin, I updated recipe cards and it looks like this one didn’t transfer over 🙁 Looking into in now to see how I can fix it. THANK you for commenting otherwise who knows how long it would have been unresolved!